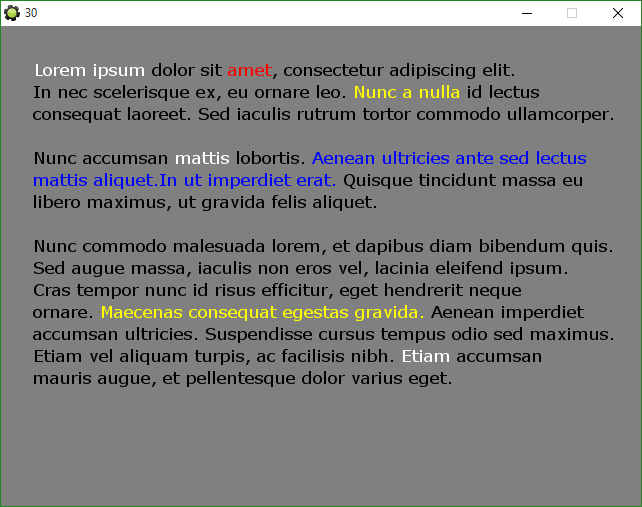 A simple GML script for changing the color of individual words in a drawn text using HTML/BBCode inspired tags. The download contains an example of use. Feedback and ideas are always appreciated! Drop me an email if you have questions or issues. Forum thread.